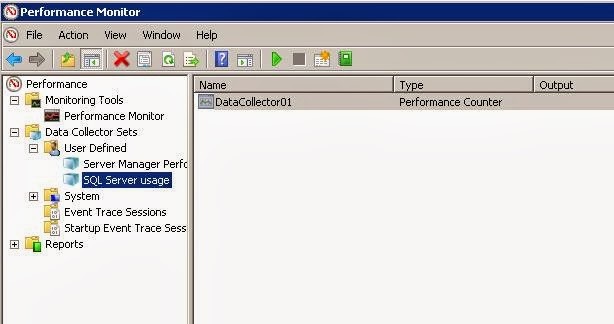 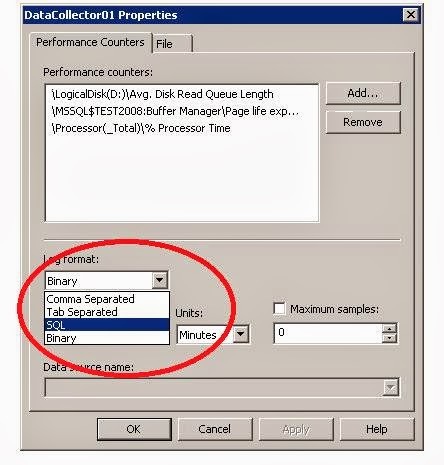 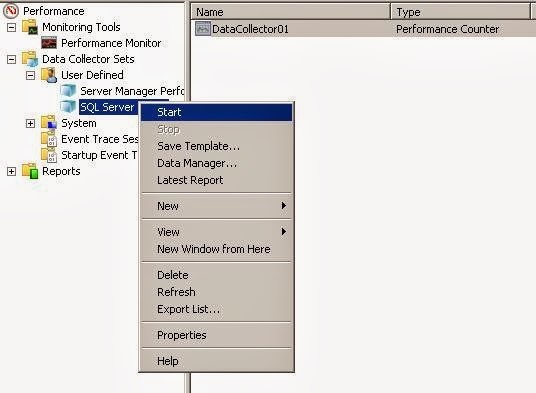 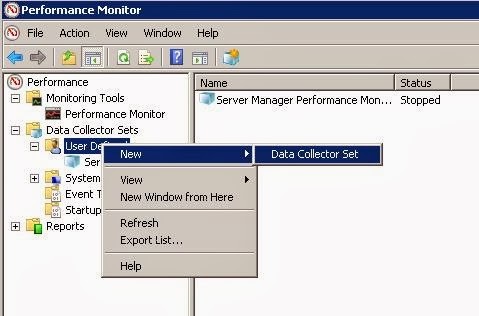 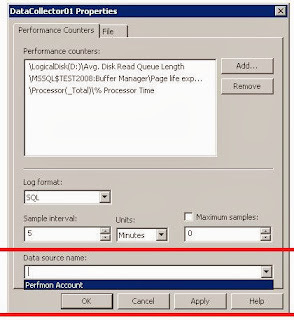 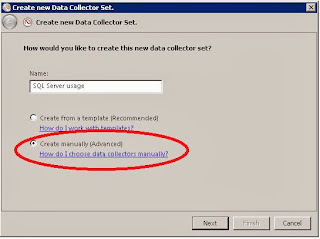 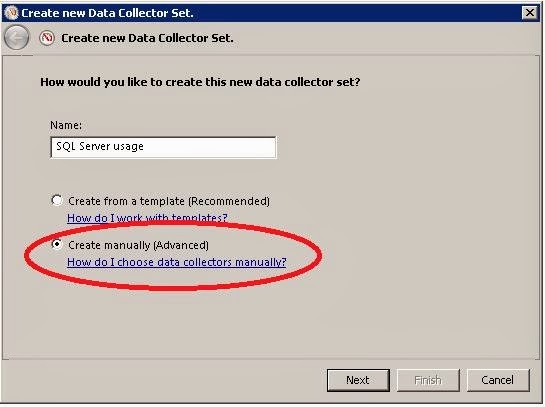 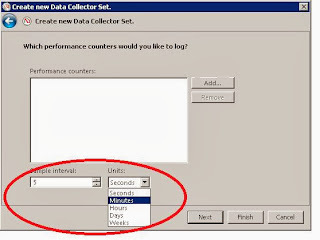 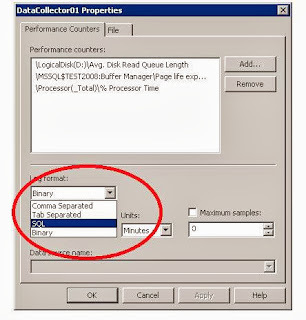 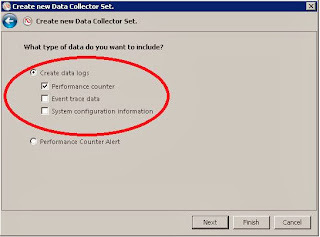 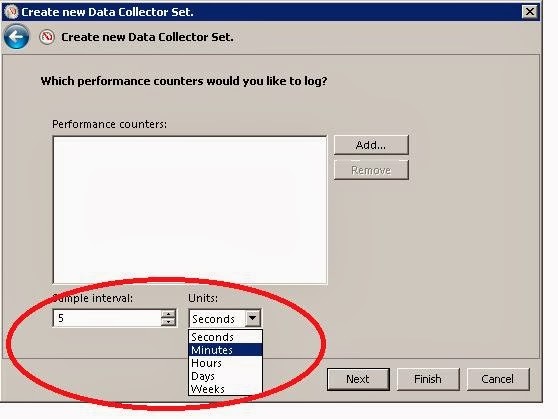 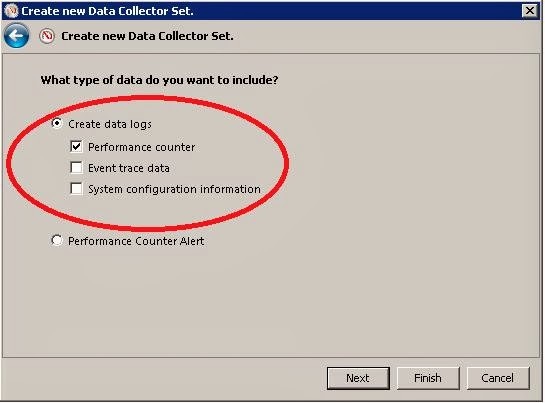 As a DBA we frequently run perfmon on our servers to monitor performance of the SQL Servers, In this section I am going to write how to schedule a perfmon data collector to collect the perfmon data to a SQL server destination. 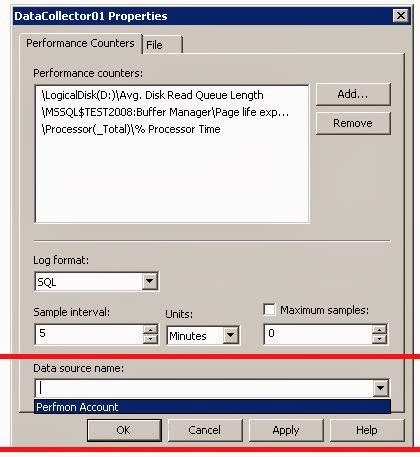 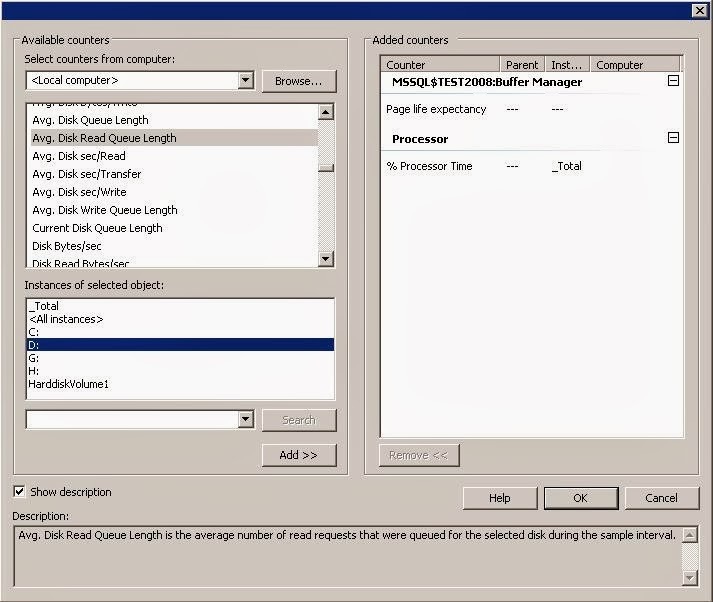 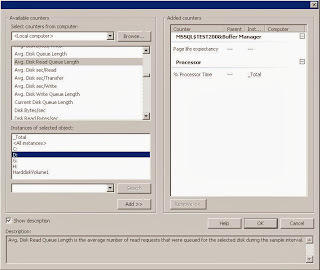 Open Perfmon from the SQL server you want to collect the counters, Perfmon can also be collected remotely but i ave used local server in this exercise. 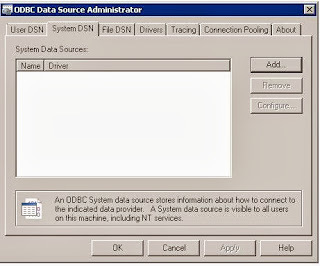 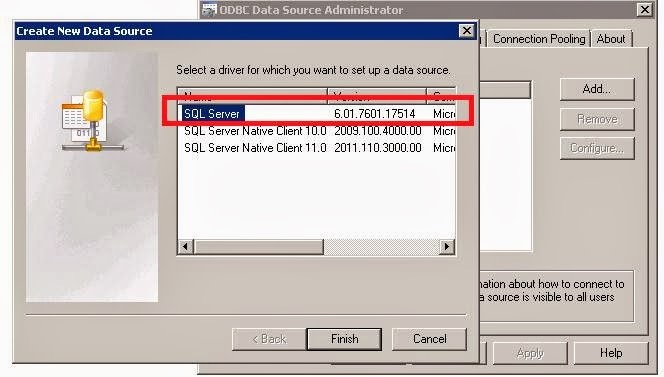 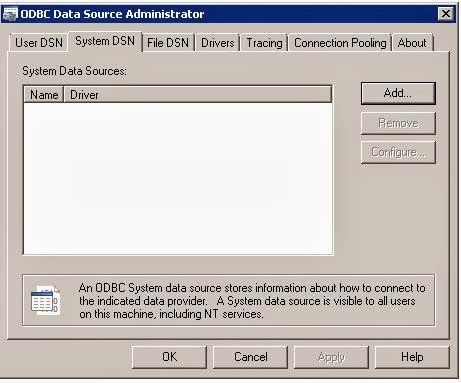 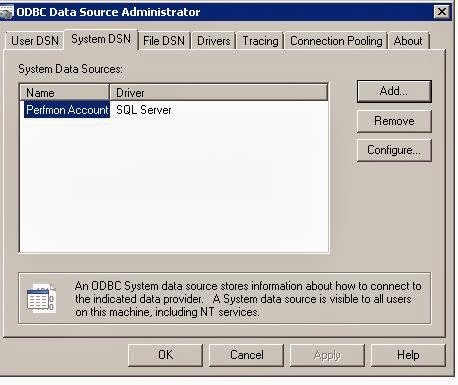 Next step is to create a ODBC for SQL server where the data needs to be stored, Go to Start->Administrative Tools->ODBC Data Source and choose System DSN tab. 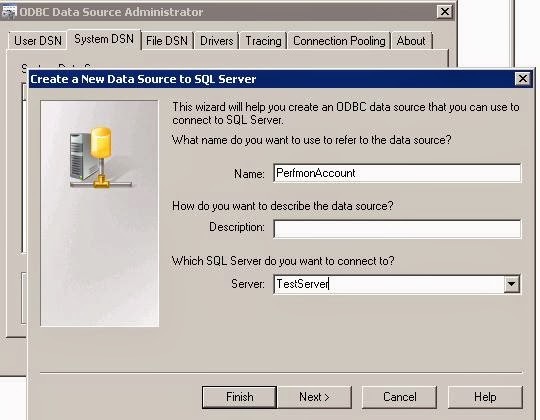 Click Add to create a new data source and select SQL Server data source, Please do not choose the Native client data sources, there is a known error with the Native client accessing Permon SQL server data and usually error out as "Call to SQLExecDirect failed with %1" when you start the data sets so make sure you choose SQL Server and proceed to create the DSN. 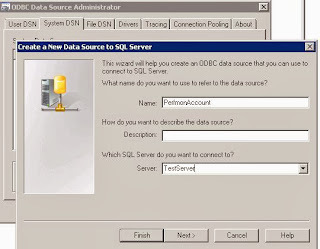 Choose the database to which the Perfmon data needs to be stored as default database. 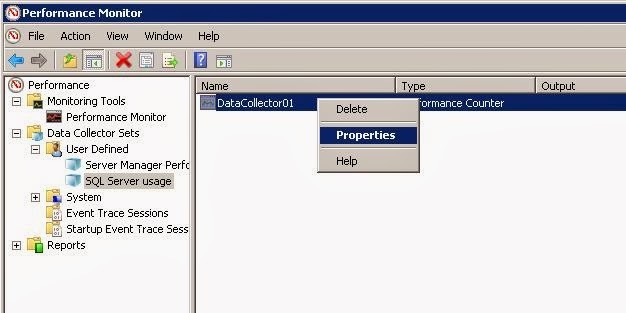 and right click on DataCollector01 and properties. 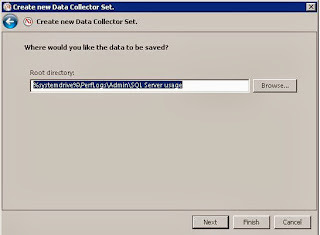 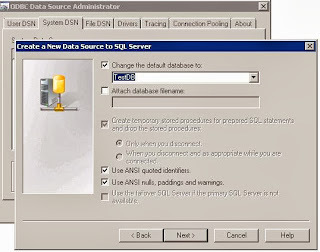 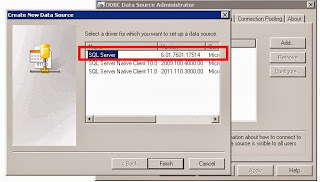 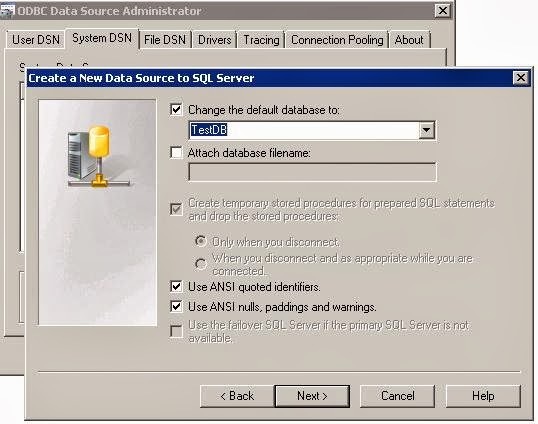 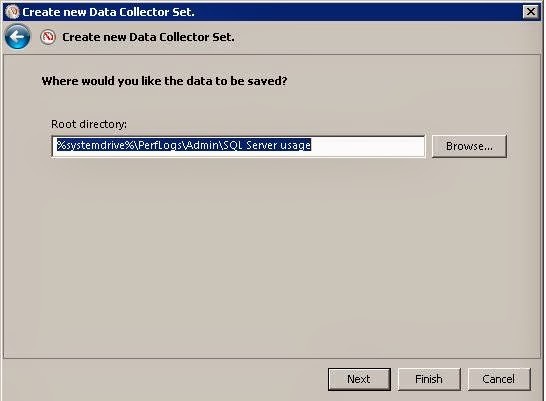 In the Properties screen choose the format as "SQL" which should enable your Data Source Name drop down box, Check if the system DSN you created is available in the dropdown box and choose it as the data source and Click apply and OK.
Now all the setup has been completed just right click on your collector set and click start which should start collecting the permon data to SQL Server.